Deer season officially closed for the GrowingDeer Team yesterday. Although we’re a little bummed, we’re dealing with our grief by preparing for next season. It’s never too early to prepare for future seasons, and one way we’re doing that is by removing predators! Clint Cary makes a dirt hole set on the side of an interior road. These are great places to set traps for coyotes! Predator control is a huge piece of our wildlife management program. Coyotes can be very tough on deer herds this time of year. With the whitetail breeding season over, a lot of deer are worn down and weak from the rut and are now dealing with the winter elements. The constant presence of coyotes can raise stress levels on the deer and even lead to death. Injured deer will be easy targets for coyotes to take down as well. All of these factors motivate us to set out our Duke #4 coyote traps! 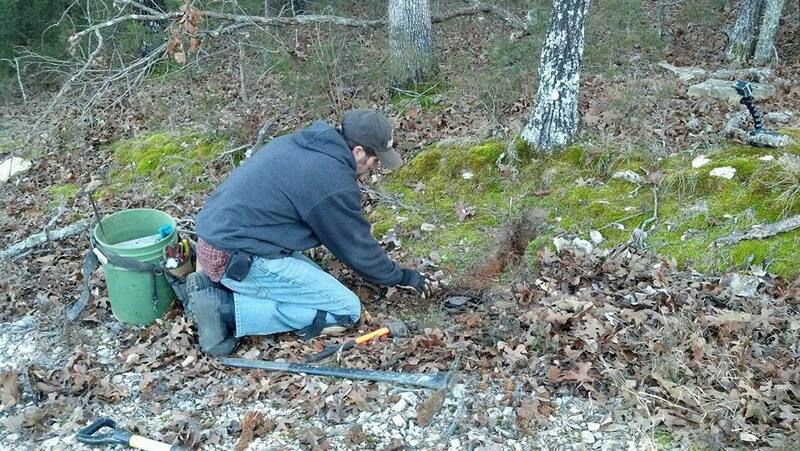 We use two different styles when trapping coyotes, the dirt hole set and the flat set. These styles of coyote trapping have proven successful for us over the years and we’re hoping they help out our deer herd significantly again this year! To learn more about these techniques watch the upcoming episodes on GrowingDeer.tv! Being a successful deer manager isn’t putting out a couple food plots every fall. It’s a year round task that includes predator removal! Get out this winter and do your part in balancing the predator/prey relationship!